Hezbollah's deputy secretary-general says Netanyahu's UN speech neither interests nor threatens the group. Hezbollah's deputy secretary-general, Naim Qassem, said on Wednesday that Prime Minister Binyamin Netanyahu's speech at the UN General Assembly neither interests nor threatens the terror group, Yediot Aharonot reported. In his speech, Netanyahu revealed that Hezbollah, Iran’s proxy in Lebanon, placed three missile conversion sites alongside Beirut’s international airport, including in the Ouzai neighborhood, underneath a soccer stadium and adjacent to the airport itself. The IDF later published a video and pictures of the sites in question. "We are not interested in or threatened by Netanyahu's unsuccessful show,” Qassem said on Wednesday at a conference in Beirut, according to Yediot Aharonot. “We are fully prepared to deal with the Israeli aggression if it happens, even though we do not expect it, and it does not affect the hard work we put in to improve our preparedness and our weaponry," he added. 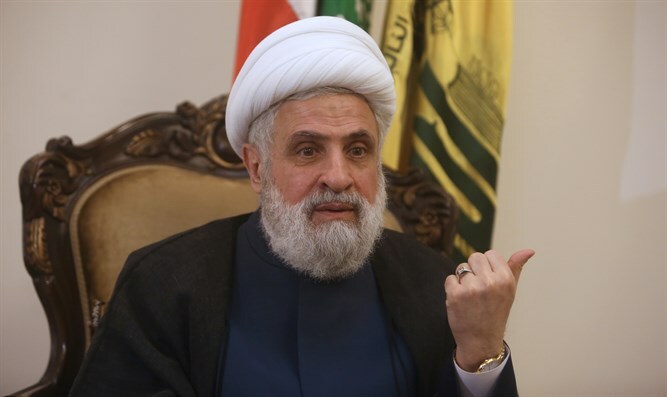 Qassem asserted that the terror group’s “resistance” is what led to the May 2000 withdrawal of Israeli military forces from southern Lebanon. "As we fought on the battlefield, those on the background chanted: ‘No, you can’t,’ but in the end we achieved victory after victory. It’s proven by the 2000 withdrawal and the 2006 liberation (Second Lebanon War). The victory of the resistance axis is the victory of Lebanon,” he claimed. Earlier this week, the Lebanese Foreign Ministry invited all foreign ambassadors in Lebanon to a meeting at its premises in order to respond to the allegations made by Netanyahu in his UN speech. "It is unfortunate that the Lebanese government is sacrificing the peace of its citizens to cover for Hezbollah which has taken Lebanon hostage for its aggression against Israel," Netanyahu added.